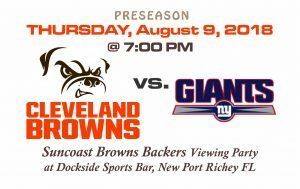 Browns PRESEASON opens against the NY Giants. But COME EARLY (6PM) to watch the first episode of HBO’S “Hard Knocks” featuring our Browns. 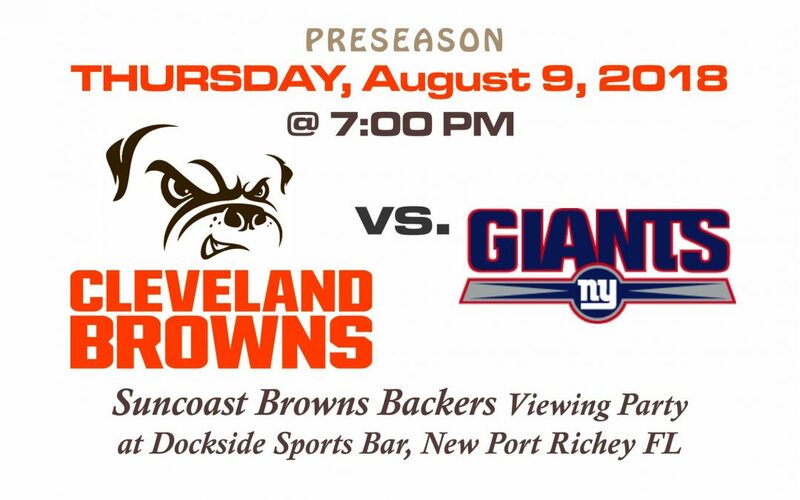 Then stay at Dockside Grille to watch the game with the Suncoast Browns Backers. Game starts at 7PM. GO BROWNS!